I've noticed when creating packages /directories that do not contain any elements at interior levels that those levels get 'skipped' in the Project Viewer. often i do not want that behavior. Is there a way to change it ? e.g. 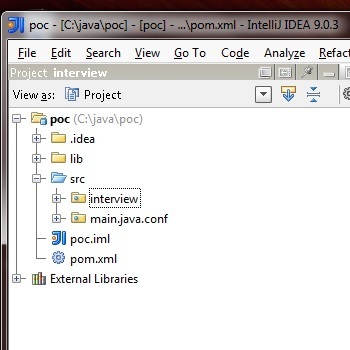 see screenshot: I want to move the "interview" package into the main.java package. But I can not. Why? 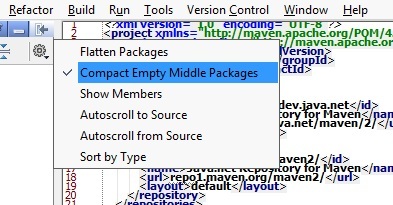 It gets hidden and only its child "main.java.conf" is available. Thx for that tip. I wish those options on clicking the icon were also navigable via menu options. I find it distasteful to need to click on all the icons to find things.